Counsellor-in-training is an amazing start to your development as a leader at Golden Lake Camp! Our 2019 CIT Director has not been appointed yet, but you can still send in an application, and it will be processed as soon as the CIT Director is in place. In order to be a CIT, you must be at least 14 by the end of this year. Please contact us if you have any questions about this. CIT 1 is for 14 year olds and CIT 2 for 15 year olds. CIT’s are placed in a cabin (and a group for CIT 2) where you are able to shadow, learn from and assist counsellors. CIT’s hang out with campers and participate in camp activities. You will also attend training sessions with your CIT group and help the Program Team with some games. 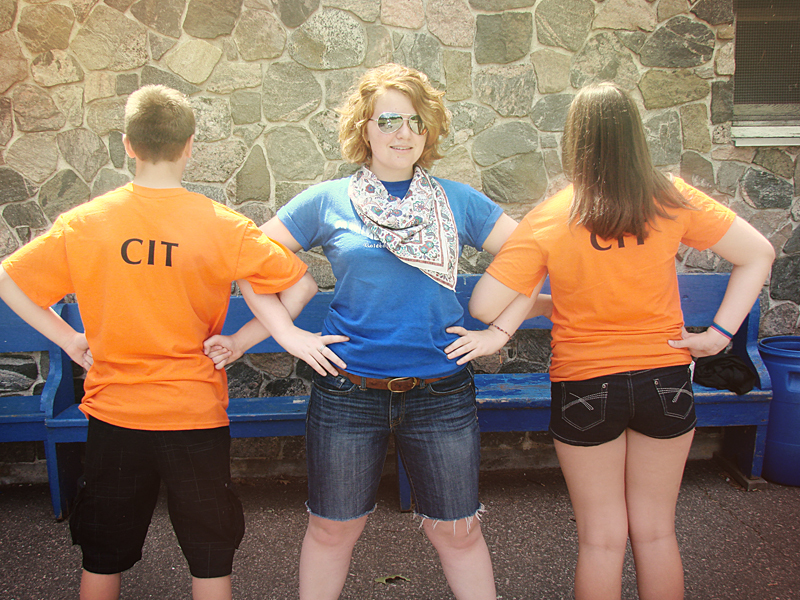 CIT’s are in the unique position between “camper” and “staff”, it’s a super fun and amazing experience. Completing the CIT program will give you a good idea of what it’s like to work at Golden Lake. It also provides you with valuable training to include on your resume and can count towards your volunteer hours. (Yay!) You also get a certificate of completion, which is pretty stellar! The fee to be a CIT this year (2019) is $325 for the week. This fee covers program costs, your room and board, and includes a t-shirt and your tuck (snacks) for the week. If you are selected as a CIT you receive a letter of confirmation on how to proceed with payment, what to bring, and a Health and Permission Form to complete and bring to camp. If the fee is a problem, please let us know and we will work something out – you can email our registrar at goldenlakecamp@gmail.com to ask about our “Geared-to-Income” plan. Please send an email to goldenlakecamp@gmail.com indicating your preference of week, a reference letter, and the answers to the following questions. If you are accepted you will be sent a registration form with instructions on how to pay. Let us know if you have any questions at all. Why are you applying to do the CIT program at Golden Lake? What do you hope to get out of it? What do you feel you have to contribute to Golden Lake? Skills, ideas, interests, faith, etc. What are some ways you could make a camper’s week really memorable? What are some characteristics of awesome counsellors?